Champion Thoroughbreds and John O'Shea Racing are excited to be offering this Snitzel x Tip The Wink filly to our owners in 2018. This cross has produced one of Snitzel's fastest sons in multiple G1 winning RUSSIAN REVOLUTION (The Oakley Plate and The Galaxy) who earned $1,284,225 and is now standing at Newgate Stud for a service fee of $55,000. The Snitzel over a Stravinski mare cross has produced 4 named runners for 3 winners. She is very much in the same strong mould as Snitzel himself and out a Listed winner and Group 1 placed winning Stravinski mare TIP THE WINK. 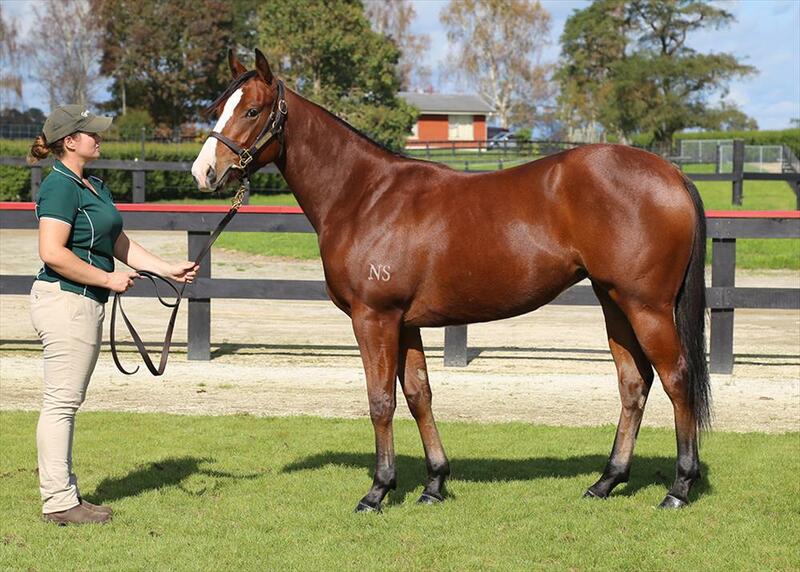 We are delighted to present this strong, fluid walking filly with a no nonsense attitude for syndication. TIP THE WINK is from the great NZ HULA DANCE (HULA CHIEF, HULA DRUM, HAWAIIAN SONG) that produced multiple Group 1 winners. She has produced 3 named foals 2 of which have been presented at the races both of them winners. There is plenty of residual value in this family moving forward including recent Listed winner GLOBAL THINKING and her 2 siblings winning this season. "She should go early, she's an early foal and we'll get her broken in now and see if we can get her back for the Karaka Million in January."